Prolozone is an oxygen and ozone, vitamin, mineral and homeopathic medicine injection technique developed and pioneered by Dr. Frank Shallenberger. It is excellent for all forms of musculoskeletal and joint pain including chronic neck and back pain, rotator cuff injuries, degenerative and arthritic knees, degenerated discs, and shoulder and elbow pain. Prolozone seems to actually correct the pathology of the disorder, and according to Dr. Shallenberger there is a 75% chance for the chronic pain sufferer to becoming permanently pain free. Prolozone is derived from the Latin word “proli” which means to regenerate or rebuild, and the word ozone. Ozone is the most highly active form of oxygen that appears to powerfully promote the repair and regeneration of damaged tissues, joints, ligaments, and tendons. This usually initiates healing and a permanent end to pain. 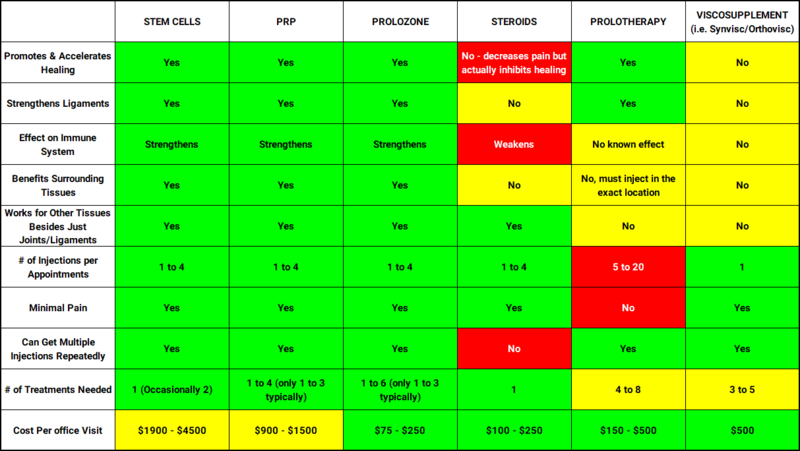 Prolozone can provide a curative result assuming that any other contributing factors such as infection, misaligned gait, movement deficits, nutrient deficiencies, etc. are successfully managed. No. There have been no side effects reported from Prolozone therapy. The first thing that most patients notice after a Prolozone treatment is an almost immediate 50-80% decrease in pain. The response to treatment varies from individual to individual, and depends upon one’s healing ability and level of injury. Most people may only need one or two treatments, while others may need a series of six. The injection process includes a 15-20 minute appointment and is repeated once a week to once a month until maximum improvement is achieved and can be a true cure of most chronic injuries, degenerative processes and pain.